1. The dry heat sterilizer should be placed indoors in a dry and level place to prevent vibration and corrosion. 2. Pay attention to safe use of electricity, and install a power supply knife with sufficient capacity according to the power consumption. Use enough power leads and have a good grounding wire. 3. The dry heat sterilization cabinet with the electric contact mercury thermometer type thermostat should connect the two wires of the electric contact thermometer to the two terminals on the top of the box. In addition, an ordinary mercury thermometer is inserted into the exhaust valve to open the hole of the exhaust valve. Adjust the electric contact mercury thermometer to the required temperature and tighten the screws on the steel cap to achieve the purpose of constant temperature. However, care must be taken not to turn the indicator iron out of the scale when adjusting. 4. 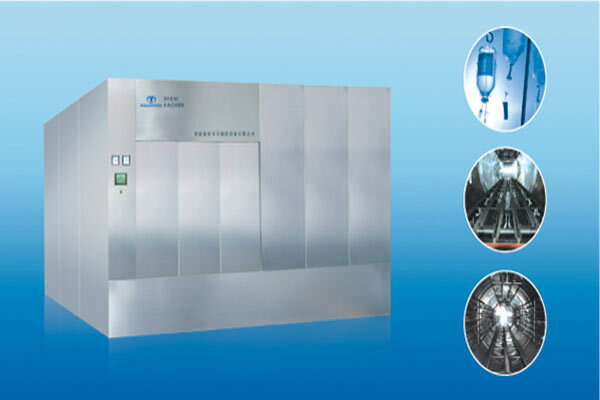 When all preparations are ready, put the sample into the dry heat sterilization cabinet, then connect and turn on the power. The red indicator light indicates that the box is heated. When the temperature reaches the controlled temperature, the red light turns off and the green light is on, and the temperature is started. In order to prevent temperature control failure, you have to look after it. 5. When placing the sample, please note that the arrangement should not be too dense. The test piece should not be placed on the heat sink to avoid affecting the upward flow of hot air. It is forbidden to bake flammable, explosive, volatile and corrosive items. 6. When you need to observe the sample in the working room, you can open the outer door and observe through the glass door. However, it is better to open the door as little as possible to avoid affecting the constant temperature. Especially when working above 200 °C, opening the door may cause the glass door to quench and rupture. 7. Dry air sterilizer with blasting, the blower must be turned on during heating and constant temperature, otherwise it will affect the uniformity of the temperature of the working chamber and damage the heating element. 8. After the work is completed, the power should be cut off in time to ensure safety. 9. Keep clean inside and outside the dry heat sterilization cabinet.